A GRIP ON SPORTS • Filled out your bracket yet? If the answer is no, why the heck not? If it is yes, how far do you have Gonzaga going? Or Belmont? Or Zion Williamson? Read on. • We all know that person. You know the one, the guy or gal who fills out 37 brackets, either on paper or at one of the three million sites with “bracket challenges.” Then they crow about how they got the champion right. Well, there is a way to ensure that. Fill out a different bracket for every seed up to around 11. One of them will have the champion. In fact, save time. The lowest seed to ever win was an eight. Villanova in 1985. And that took a near-miracle. Or shooting almost 79 percent from the floor, which is as close to a miracle as the '69 Mets. If you don’t want to go as far as the eight-seed line, which would mean filling out 32 brackets to get the winner, you can stop after the top three seeds. Since Villanova won that title, 30 of the 33 champions have come from the top three seeds. A four, a six and a seven have each won once. Fill out 12 brackets. Pick a different winner each time. History tells you there is about a 90 percent chance one of them will be right. • You can be a purist, sure, and pick one bracket. But if Thursday turns out to be a bad day, it’s not worth keeping around any more. Which is a shame. There is an alternative. Pick a bracket for the contests, if you want, then do another one – in pencil. And only do the first round. Come Friday night, when the first 32 games are over, line out your losers, put in the winners and pick again. See if you improve. Do that through the entire tournament. It’s just another way to have a dog in the hunt throughout the three-week stretch of games. • Or you can forget about the whole bracket thing and just concentrate on teams. Not caught up in the whole Gonzaga frenzy? Or you didn’t go to a junior college near UW? Then the bracket world is your oyster. Pick whomever you want. Root for them. Follow them as long as they are alive. Tell your friends how badly they were treated by the selection committee. Then how they were hosed by the officials after they lose. Need a suggestion? We’re here for you. How about UC Irvine, one of five teams in the field with at least 30 wins. And the only public school from California to make the tournament. The Anteaters – the most unique nickname in college sports – aren’t going to win the title. Heck, they may not even get past fourth-seeded Kansas State on Friday in San Jose. But they are worth rooting for. Especially if you follow a big school with a coaching vacancy. Then Russell Turner, Irvine’s guy, might just be your guy soon. He’s mentioned in vacancies year after year, but has been hunkered down in Irvine for a while now. Though, if the Anteaters can make a run this tournament, he probably won’t be making the commute from Newport Beach or Laguna to California’s most perfect college campus next fall. Gonzaga: We could have spent the entire morning talking about the local school, but what’s the fun in that? Everyone else did it already. And with more gravitas than we could bring to the table. 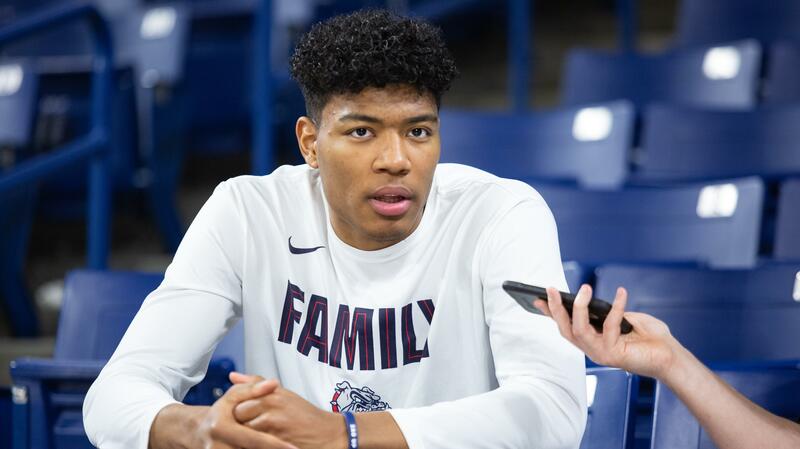 Like this piece of serious investigative journalism by Jim Meehan that attempts to answer the mystery of who is better, the 2017 Bulldog team or this year’s Gonzaga squad? We kid, of course, because Jim’s story and John Blanchette’s accompanying column are great fun, if maybe about three weeks premature. … When it comes to news from yesterday, that’s covered as well, with Jim covering yesterday’s bracket reveal, John writing about the Zags keeping ahold of a No. 1 seed, Theo Lawson looking at the numbers with college basketball’s premier numbers guy and Libby Kamrowski taking you into the GU celebration with her camera. … Adam Morrison shares his thoughts on this Zag team, Theo examines the other teams in its pod and Justin Reed looks at their destination, Salt Lake City. … The women find out their seed and destination this evening. Jim Allen previews that announcement. … Around the WCC, BYU is not in a postseason tournament for the first time since Dave Rose was named coach. 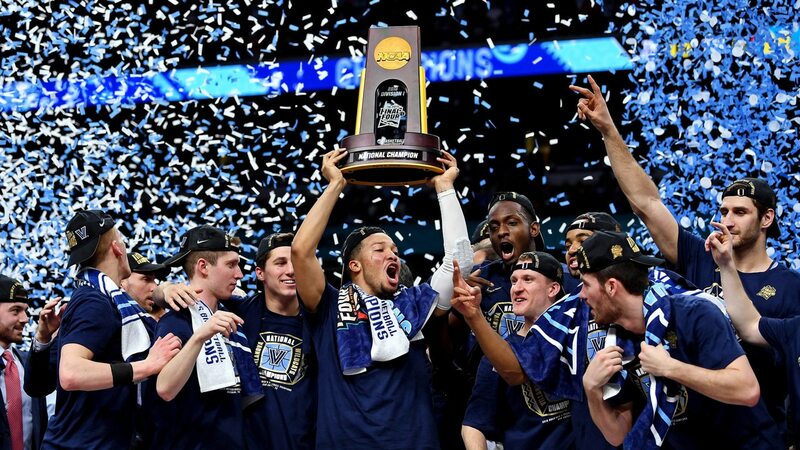 … Saint Mary's face the defending champions, Villanova. WSU: Around the Pac-12, the conference received three bids to the NCAA Tournament, though none was better than Washington’s nine seed. The Huskies are headed to Columbus, Ohio, to face Utah State. … Oregon is a 12 seed (the upset seed), and will face Wisconsin in San Jose on Friday. … Arizona State, an 11 seed, faces St. John's in a play-in game Wednesday. … There is just one Pac-12 team in the NIT, Colorado, as Oregon State was passed over. So was UCLA and USC. … There is football news from Colorado and Utah. NIC: The Cardinal ran Walla Walla out of the gym, winning the NWAC title with a 104-73 rout. Chiefs: Thanks to Portland’s 6-5 loss to Seattle yesterday, Spokane will have home-ice against the Winterhawks in the WHL playoff’s first round. Kevin Dudley has all the background in this story. Mariners: It’s not long now. The M’s will open the 2019 season with, well, low expectations. They’ve made that clear. But they will also open with Marco Gonzales on the mound. Yes, the former Zag great is Seattle’s opening day starter. Gene Warnick has more in this year’s first Out of Right Field column. … You didn't believe the M's administration when it said the team isn't trying to win this season? Maybe this piece of news will convince you. … The M's won their last exhibition game. … Where the M's and A's will be playing is different. … A former UW player will probably be on Seattle's opening roster. Published: March 18, 2019, 8:26 a.m.